We are loving' the tassel trend that's been dominating the fashion scene lately. just like decorations at a party, tassels can transform an outfit from drab to fab. This quirky and playful detailing makes a debut in our latest creation, Tania, a long shawl design with two embellished tassels attached to each end. The tassels are strung through clear Swarovski Austrian Crystals, exposing the colour of the thread to produce a simple yet beautiful accent. The Rondelle crystals used are classically round with diamond-shaped facets cut around the surface, which help to create depth and structure to this otherwise minimal design. 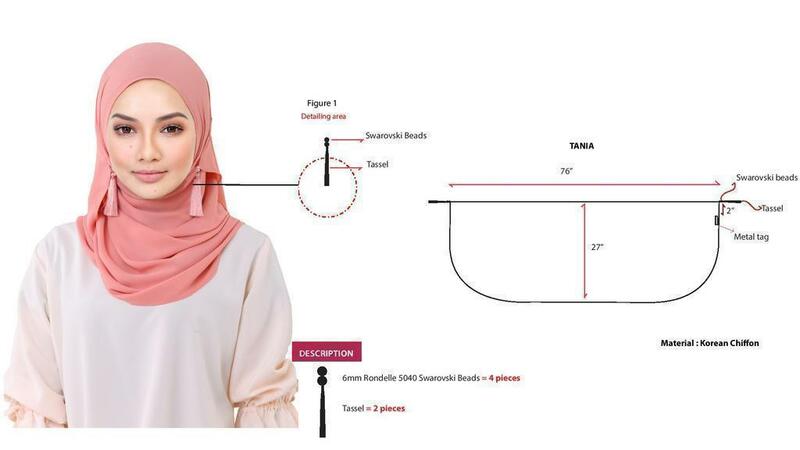 The tassels and the hijab are kept in the same colour to help streamline the look, producing a wonderfully chic hijab that will pair well with any outfit. The tassels are strategically placed so you can have tons of fun styling this shawl in new and innovative ways, making the Tania a versatile piece that transverses effortlessly from day to night. Tassels work great as earrings too, and with this design, you can definitely stay on trend without the need of purchasing any additional accessories. 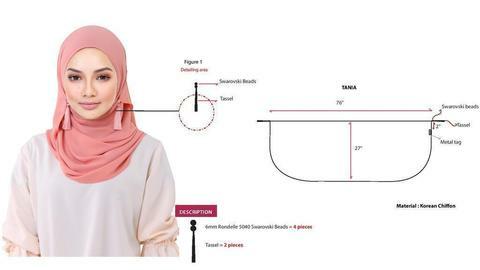 The unique design of the shawl allows you to wrap it in a way that will fabricate the tassel earrings look, it's a revolutionary method that will change the way you wear your hijab. 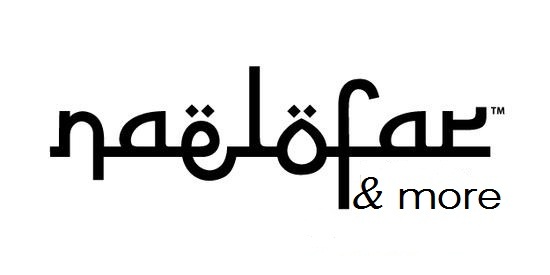 Use your creativity to replicate the style or just keep on the look out for one of our tutorials to learn how to do it. 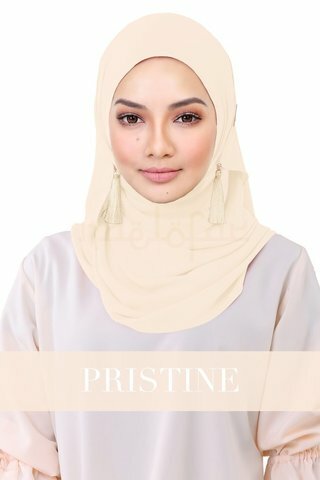 Tania is made from Korean Chiffon, a soft flowy fabric that provides coverage, comfort and durability in whatever occasion. If you're not afraid to tackle the lure of the tassel, we urge you to give Tania a try, join the tassel movement and elevate your wardrobe with the hottest adornment of the season!